and more! Just leave a comment on any post this month and you will be eligible to win. 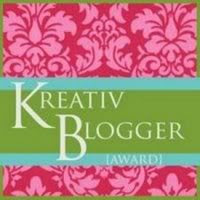 In the meantime I received the Kreativ Blogger award from Evangeline at Edwardian Promenade. The Kreativ rules state that: Once you receive this award you are to list seven of your favorite things and then nominate seven other blogs. 2) Great historical fiction. Once that makes me laugh, cry and sigh all the way through. 4) Writing. Accept when I can't sleep at night because my characters are already jumping to the next scene, lol. Sigh...Richard Armitage...does that count as a comment?!! Congrats on your anniversary. I've been lurking for quite a while and love the diversity of your subjects - not just the usual suspects, but a full range of "Scandalous" women throughout history. Happy Anniversary!! And thank you very much for the nomination! Totally agree on numbers 1 and 2! I love reading about the "scandalous" women you feature. Congratulations on your anniversary and those are some nice things you are giving away! Happy anniversary! I agree with 2, 5 and 6. Happy anniversary!!! I love reading your post. They are so fascinating. Thanks. er...what was the rest of the post? Oh - Happy Anniversary! I love this blog - well written posts about uppity women is always a hit with me. Now, if you don't mind, I'm going to meditate a bit more on RA. A HUGE congratulations on your anniversary!!! Job well done, keep it up. woooooooeeeeee! Thank you for the opportunity to win something fabulous!